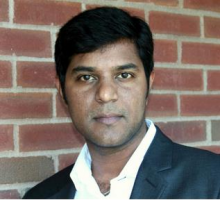 Shravan Surineni serves as a Director of Product Management for Qualcomm Technologies Inc, (QCT), where he leads Connectivity technology roadmap and commercialization for Wireless Infrastructure and Networking (WIN) and manages Consumer Electronics (CE) Connectivity business. Shravan has over 15 years of experience in Product Management, Business Development and Engineering, with a strong track record of defining, developing successful product lines, commercializing new technologies, and driving P&L growth. Shravan is an inventor with more than 10 issued patents and has an M.S. in Management and Engineering from MIT Sloan School of Management and MIT School of Engineering, and a M.S.in Electrical Engineering from University of New Hampshire.